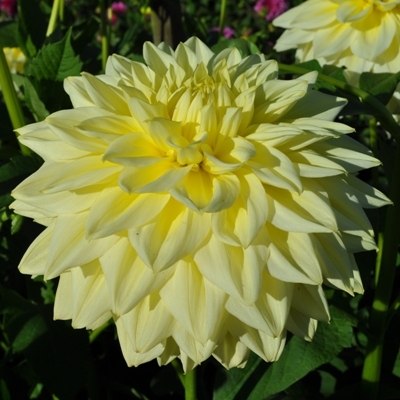 Lovely giant formal blooms of a pleasing soft yellow and relatively early flowering for a Giant. 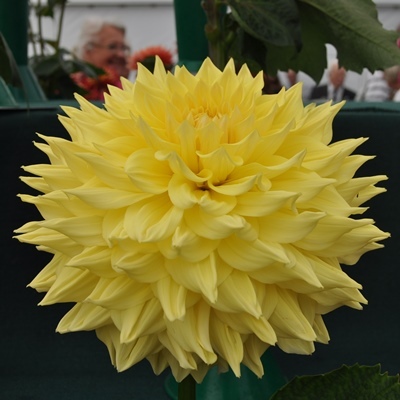 Still shown regularly even though it is one of the older varieties in our catalogue proving that some varieties do stand the test of time. 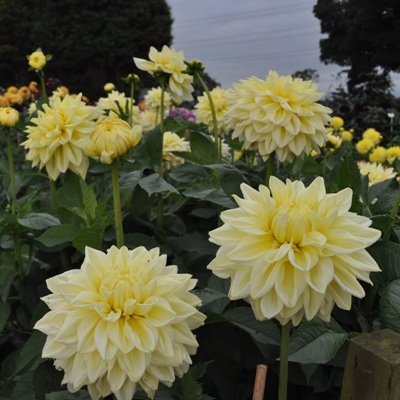 Bred by V Frost from New Zealand and introduced in 1956! 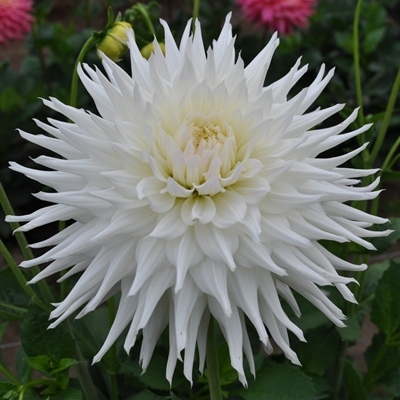 Strong growing stems to a height of 1.4m, with 38cm diameter blooms. Grow 2-3 up for exhibition. 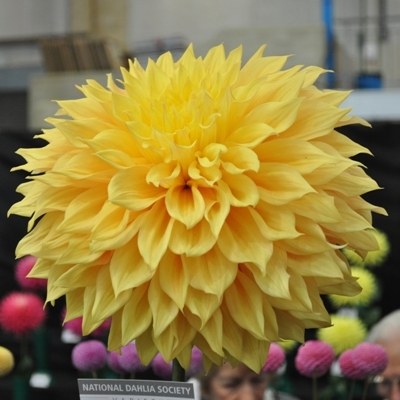 For showing best blooms this variety could do with some protection.